Mexico has a population of 115 million people and is the fourth-largest device market in the Americas. This is a favorable market for medical devices, because the country relies heavily on imports. Medical devices in Mexico are regulated by the Federal Commission for Protection of Sanitary Risks (COFEPRIS). There are four major routes to registering a device in Mexico. In this video series we cover the routes, and more information important to the process. 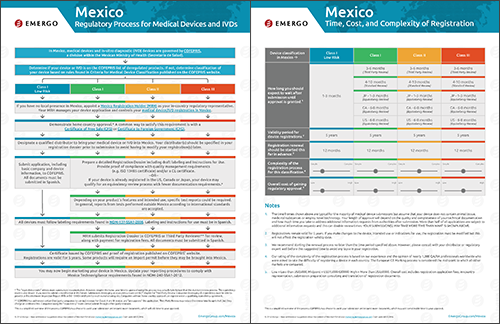 White paper: Device Registration with COFEPRIS in Mexico.